The Digital Millennium Copyright Act governs all photo complaints in which an individual who either owns, or represents the owner of copyrighted material (i.e. photos) is claiming that someone has misused their copyrighted materials without permission. If you are the copyright holder, or a representative of a copyright holder and you would like to make an infringement complaint, or counter an infringement complaint, about content on our site, please skip down to the “DMCA Notice” below, and follow the instructions. If you are NOT the copyright holder (i.e. you don’t own the pictures) but would like to bring to our attention the potential misuse of photos, (i.e. 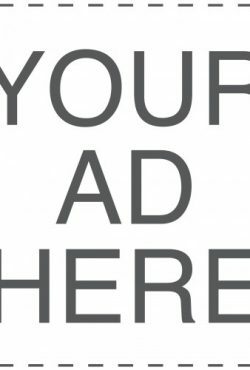 you think we have photos online that are not of the actual advertiser, or are of a famous celebrity or model), please click on the link labeled “Photo Complaint” below. Please include with your email any links or corresponding info that will help us determine whether or not the photos are being used properly. We will investigate any complaint that provides us with sufficient information. However, please note that unless we are able to determine with a high degree of certainty that the image in question is not being used properly, then we might not be able to take all requested actions. Therefore, the more information you can provide to us at the link below, the more likely it will be that we may be able to act upon the information. We welcome and encourage all valid DMCA complaints. However, please be aware that we have also received increasingly numerous fraudulent DMCA complaints. Our Company has thus far not pursued legal action against those who abuse the DMCA notice and takedown policy for fraudulent purposes. However, we specifically reserve the right to pursue claims in a court of law against any company or individual that causes our company to suffer damages or attorneys fees resulting from fraudulent or abusive DMCA complaints. In an effort to ensure that all DMCA complaints have been sent to us in good faith, we are requesting all such complaints be sent to the address above utilizing the attached form. Please fill in all applicable information requested by the form. MPF Media Services GmbH, also reserves the right to contact all individuals who file DMCA complaints to help us confirm that the complaint was sent in conformance with all applicable federal laws. We thank you for your assistance in these matters. The Site implements the following “notification and takedown” procedure upon receipt of any notification of claimed copyright infringement. The Site reserves the right at any time to disable access to, or remove any material or activity accessible on or from any Site or any Materials claimed to be infringing or based on facts or circumstances from which infringing activity is apparent. It is the firm policy of the Site to terminate the account of repeat copyright infringers, when appropriate, and the Site will act expeditiously to remove access to all material that infringes on another’s copyright, according to the procedure set forth in 17 U.S.C. §512 of the Digital Millennium Copyright Act (“DMCA”). We respect the intellectual property rights of all parties, and have adopted a policy regarding termination of repeat copyright infringers under the DMCA. Copies of our Repeat Infringer Policy are available on request to our customers or subscribers. The Site’s DMCA Notice Procedures are set forth in the preceding paragraph. If the notice does not comply with §512 of the DMCA, but does comply with three requirements for identifying sites that are infringing according to §512 of the DMCA, the Site shall attempt to contact or take other reasonable steps to contact the complaining party to help that party comply with the notice requirements. When the Designated Agent receives a valid notice, the Site will expeditiously remove and/or disable access to the infringing material and shall notify the affected user. Then, the affected user may submit a counter-notification to the Designated Agent containing a statement made under penalty of perjury that the user has a good faith belief that the material was removed because of misidentification of the material. After the Designated Agent receives the counter-notification, it will replace the material at issue within 10-14 days after receipt of the counter-notification unless the Designated Agent receives notice that a court action has been filed by the complaining party seeking an injunction against the infringing activity. The Site reserves the right to modify, alter or add to this policy, and all users should regularly check back to these Terms and Conditions to stay current on any such changes. If the Recipient of a Notice of Claimed Infringement (“Notice”) feels that the Notice is erroneous or false, and/or that allegedly infringing material has been wrongly removed in response to a Notice as outlined in Section 5.12 above, the Recipient is permitted to submit a counter-notification pursuant to Section 512(g)(2) and (3) of the DMCA. A counter-notification is the proper method for the Recipient to dispute the removal or disabling of material pursuant to a Notice. The information that a Recipient provides in a counter-notification must be accurate and truthful, and the Recipient will be liable for any misrepresentations which may cause any claims to be brought against Us relating to the Content. A description of where the material was located within the Site or the Content before such material was removed and/or disabled. Please provide the specific URL if possible. The Recipient’s physical address, telephone number, and email address. After receiving a DMCA-compliant counter-notification, Our Designated Copyright Agent will forward it to Us, and We will then provide the counter-notification to the entity who first provided the Notice concerning material in the Recipient’s Content.